This study examin es the correlation between democracy and extreme confidence in governments in 54 states. The aim of the study is to test the hypothesis that the greater the number of citizens who display extreme confidence in government, the worse the quality of democracy. This finding argues against some of the propositions of Robert Putnam. The OLS regression analysis confirms the negative correlation between the variables, which indicates that the extreme levels of support for government do not correlate with the development of democracy. 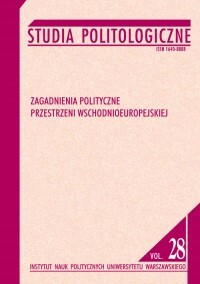 Ten wpis został opublikowany w kategorii Czytelnia, Jakość rządzenia i oznaczony tagami democracy, government, Kuź, political culture. Dodaj zakładkę do bezpośredniego odnośnika.